Refractory gastroparesis is a challenging disorder and is one of the most common indications for post-pyloric feeding. A feeding tube not only helps maintain metabolic needs but also improves symptoms and reduces hospitalization rates in patients who are unable to maintain nutrition via oral intake but have a normal small bowel function. Gastrostomy tubes can also be used for decompression to relieve symptoms and provide better quality of life. This chapter describes available endoscopic methods of providing enteral access for feeding and decompression in patients with gastroparesis: nasojejunal (NJ) tube, percutaneous endoscopic gastrostomy tube with jejunal extension (PEG-J), and direct percutaneous endoscopic jejunostomy (PEJ) tube. Discussion will include indications and contraindications, technical aspects, and complications for each technique. Overall, we present a brief description of the approaches that helped establish endoscopy as a vital adjourn to modern enteral access for nutrition and decompression. Gupta A, Manejwala A. Laparoscopic assisted percutaneous endoscopic gastrostomy (LAPEG): a simple and safe technique of gastrostomy tube placement in patients with failed PEG by surgeons with basic laparoscopy skills. 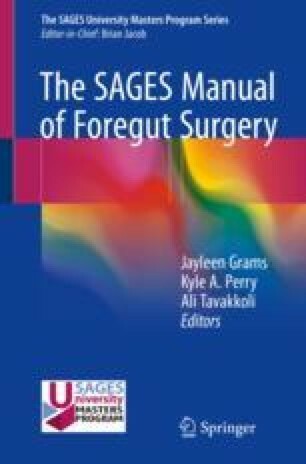 Available at: http://www.sages.org/meetings/annual-meeting/abstracts-archive/laparoscopic-assisted-percutaneous-endoscopic-gastrostomy-lapeg-a-simple-and-safe-technique-of-gastrostomy-tube-placement-in-patients-with-failed-peg-by-surgeons-with-basic-laparoscopy-skills/.